Class 1-204B has been learning how to budget their money! We brainstormed different ways children can earn money at home. They have also been thinking about spending their money on their needs that are most important, and saving their money to buy their wants. 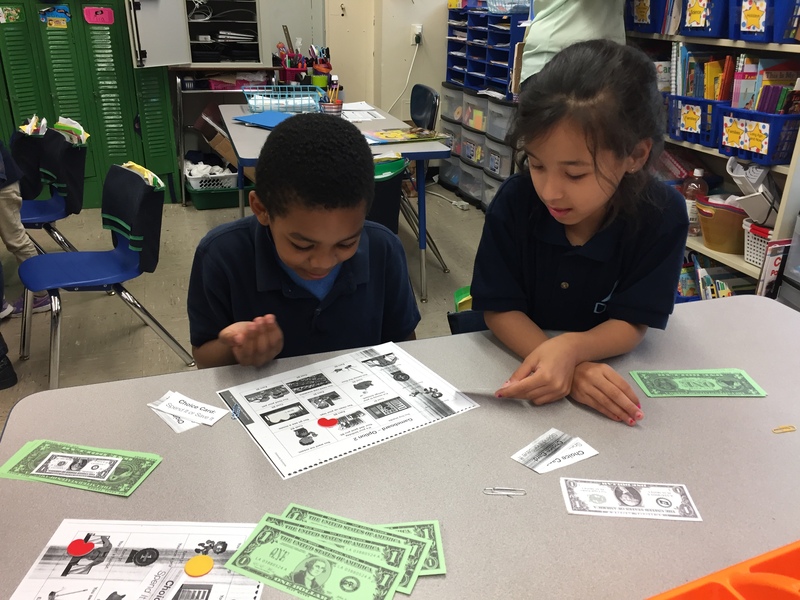 The first graders played a game with their partner where they were presented with opportunities to buy goods, or pay for services, within the community. They had to decide whether they would spend or save their money, given their current budget. Previous Entry:1-204B Races to 50!